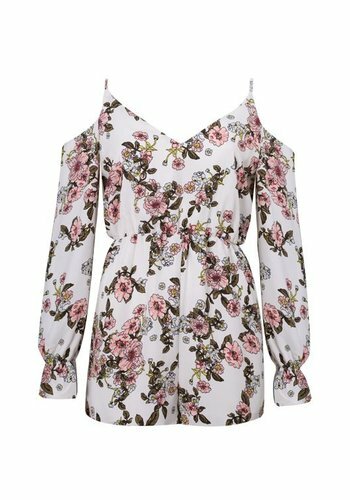 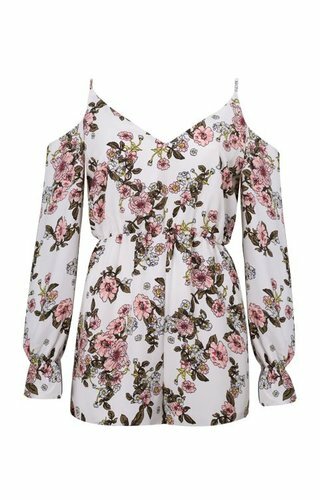 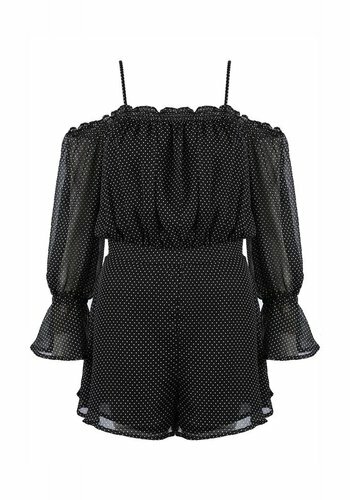 We recommend to order this playsuit one size bigger. 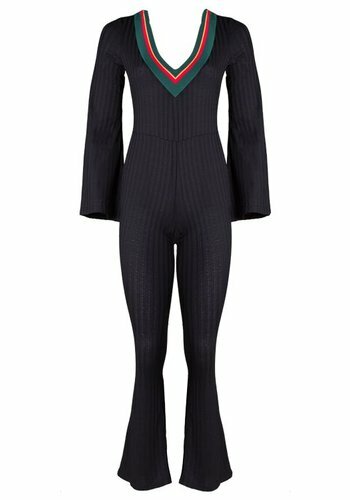 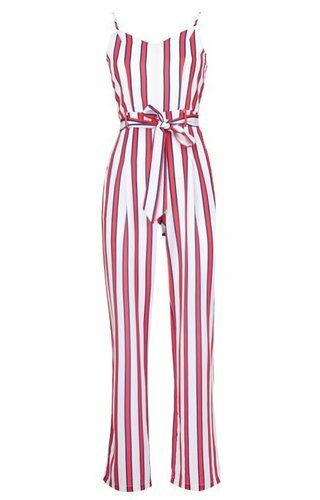 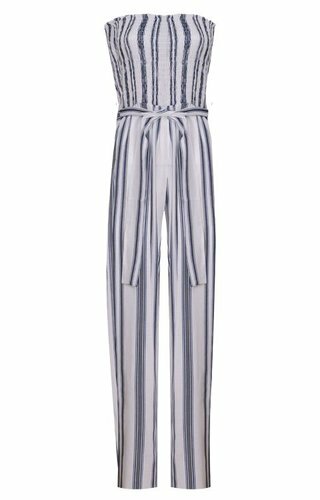 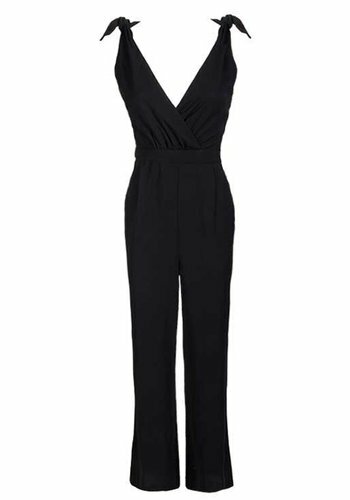 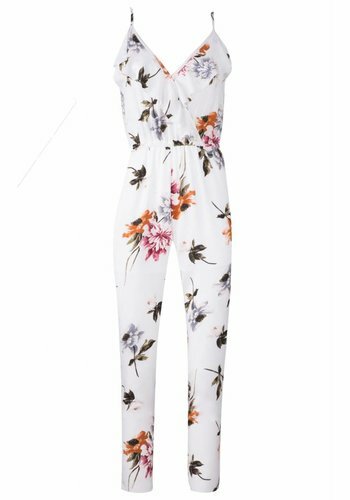 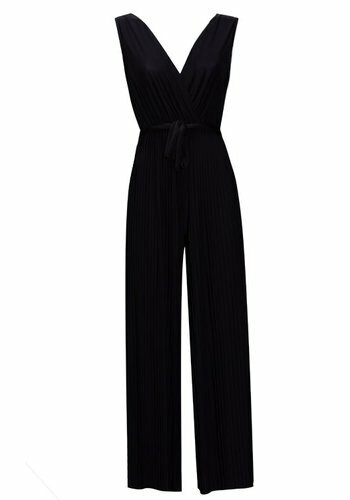 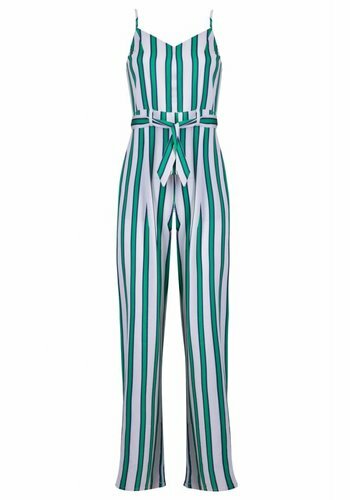 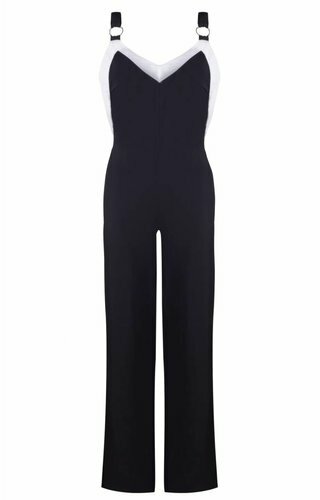 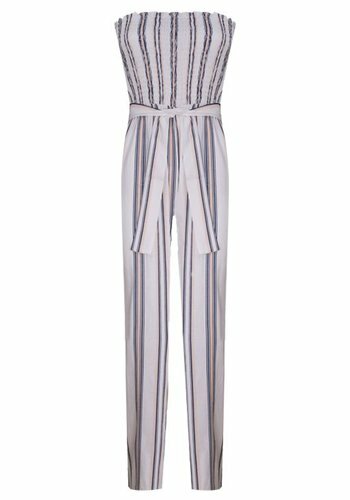 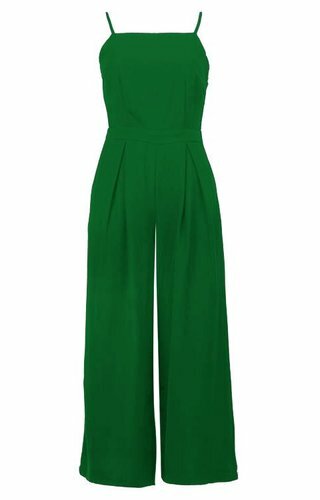 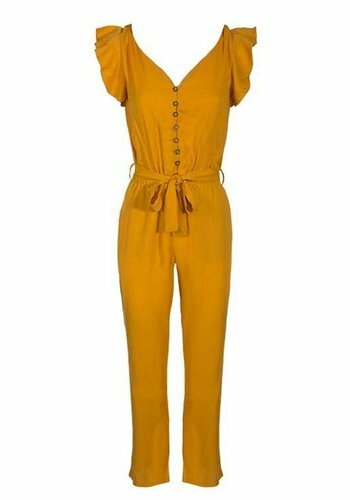 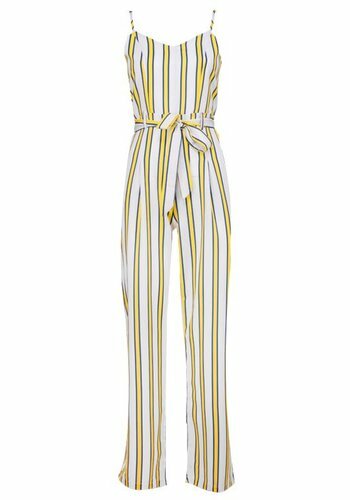 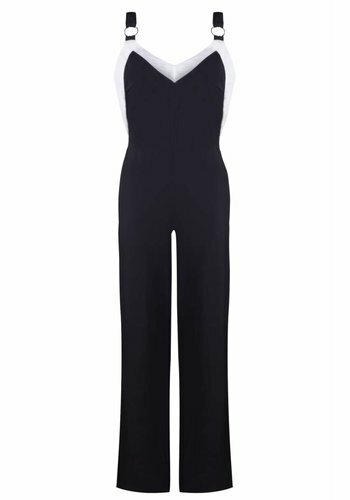 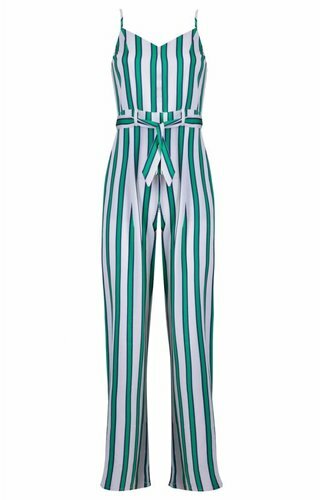 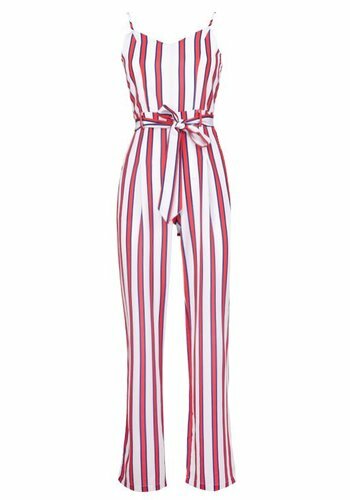 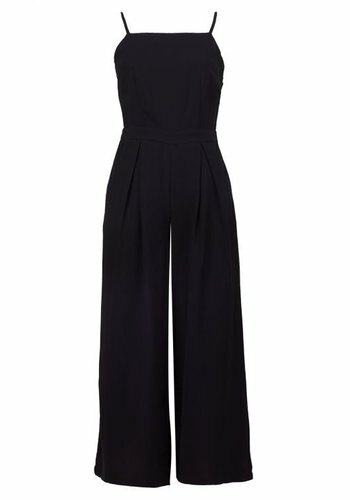 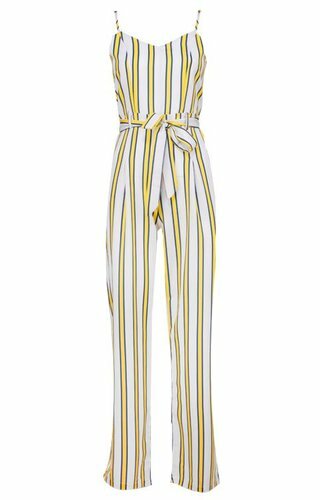 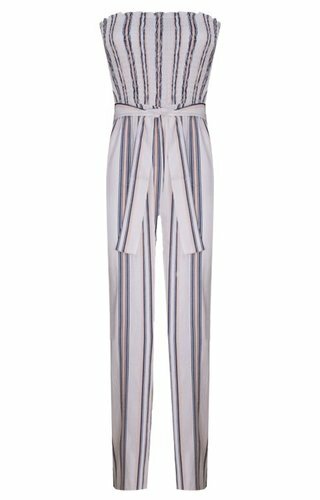 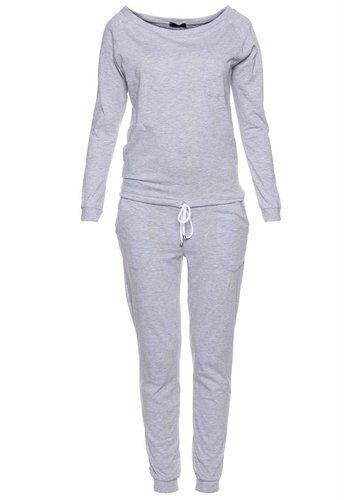 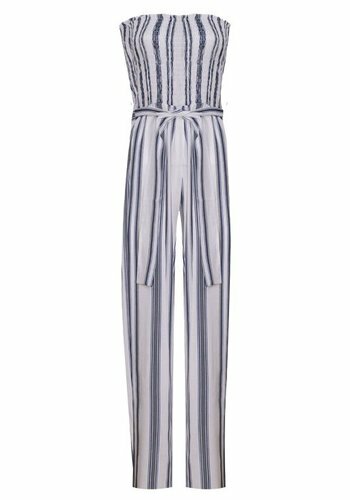 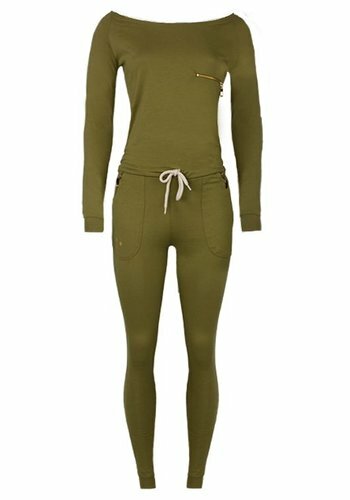 This jumpsuit is onesize and could be worn with size 34 up to and including size 42. 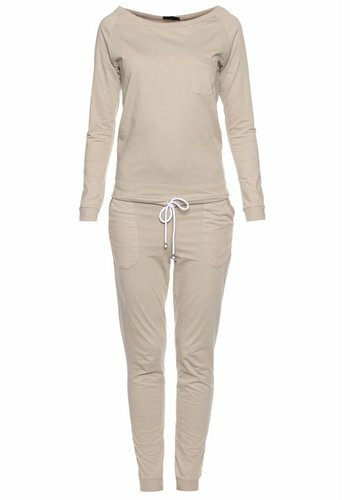 Touch Down. 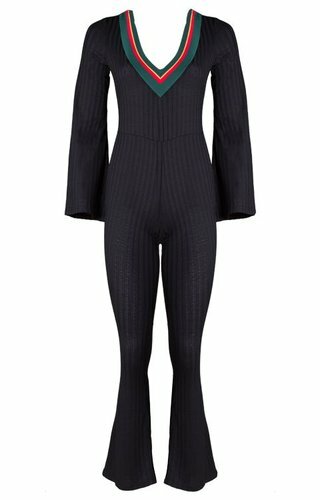 show off! Floral print is hot and happening. 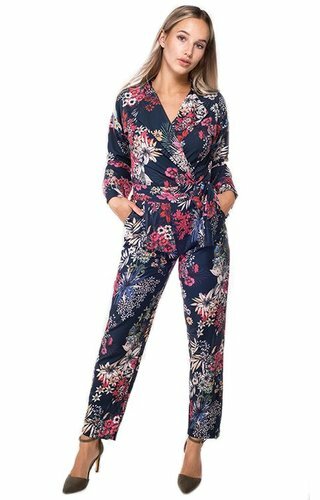 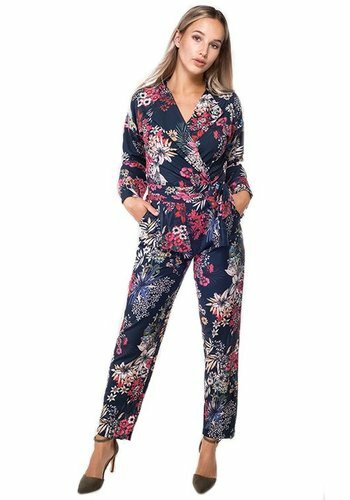 this Floral Jumpsuit is made of a dark blue fabric with colorful flowers over the whole package and a belt around the waist for the finishing touch. 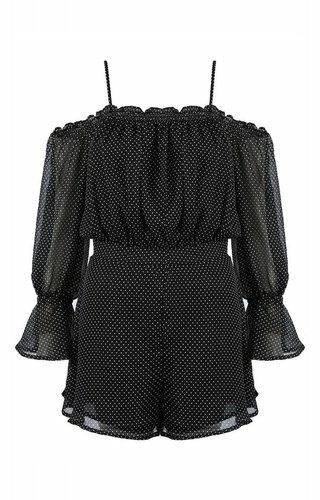 Go for it girls!